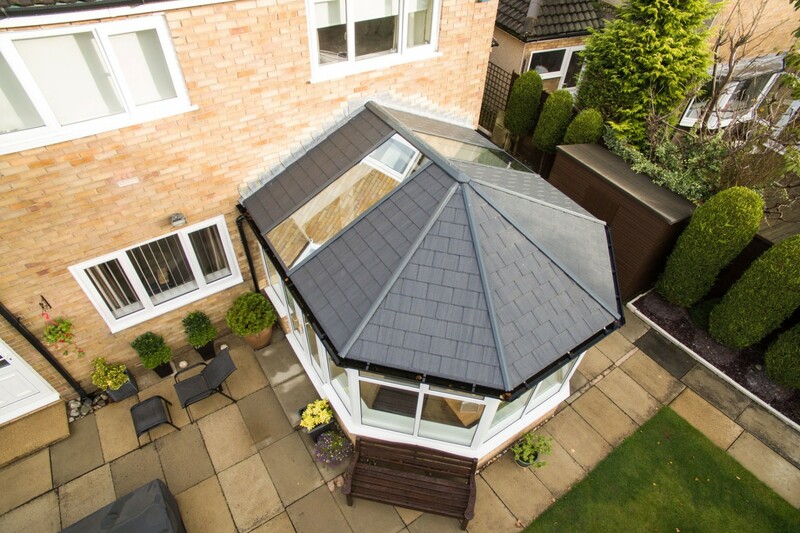 The lightest tiled conservatory roof available, Ultraroof is both easy and fast to fit with an unrivalled quality finish. Ultraroof has superior strength for larger designs and NEVER needs a tie bar. 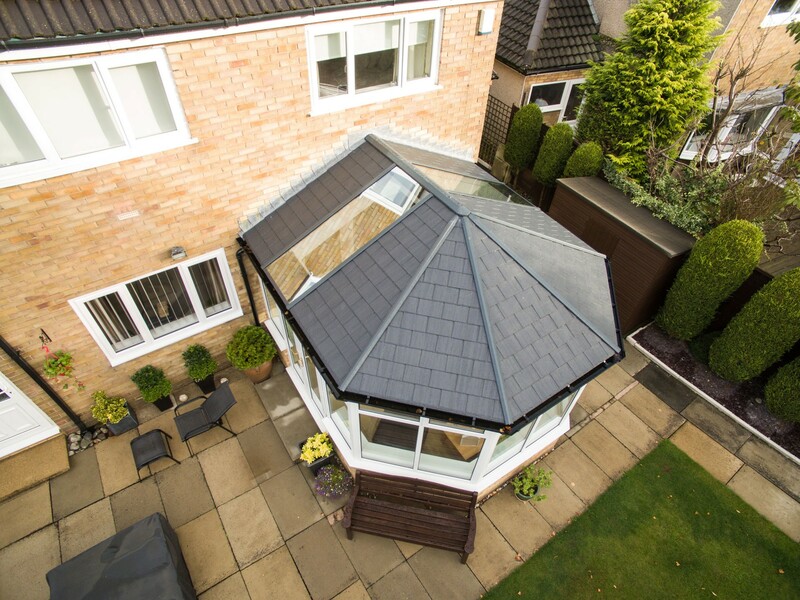 Each roof is precision engineered to wind & snow load requirements of the postcode of the installation. 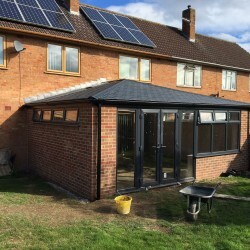 A U-value of 0.17 as standard with the option to reduce to 0.13 if required, the Ultraroof is the most thermally efficient warm roof system on the market. 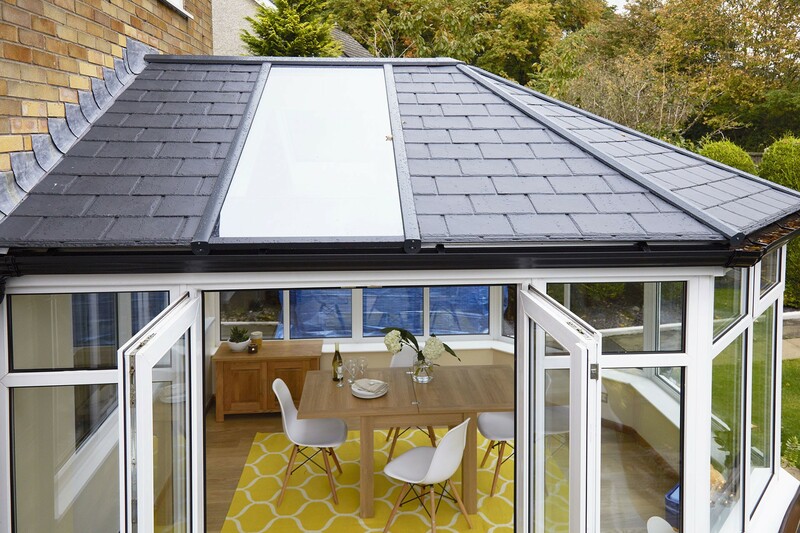 Full length glass panels provide a cost effective and stylish way to project more natural light into the room vs conventional rooflights. 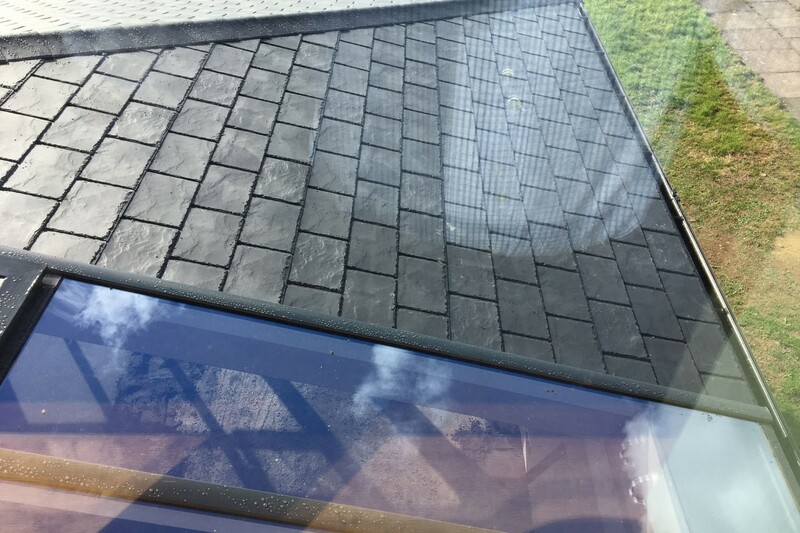 With no cutting and drilling required, components labelled in sequence and tiles pre-cut to size in panels of 12, Ultraroof is easier and faster to fit than other tiled roofs. 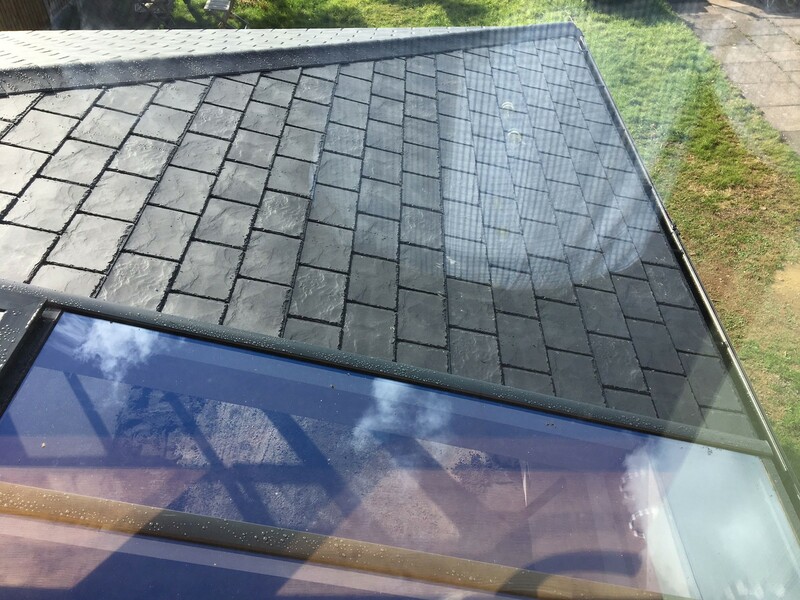 The only lightweight tiled roof to be Independently and fully fire tested, Ultraroof is rated as B-roof to EN 13501-5:2016 and AC according to BS476-3:2004. 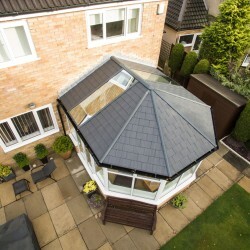 Ultraroof's, unique authentic lightweight tiles in grey, brown or terracotta together with an optional curved cornice, deliver a distinctive high quality finish. *Based on overall looks – Survey conducted Feb 2019 with 64 UK homeowners. 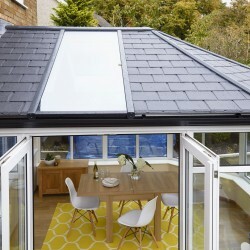 What Makes Up an Ultraroof? 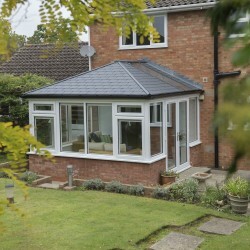 A simple lightweight tiled conservatory roof, perfect for updating old conservatory roofs in as little as one day. 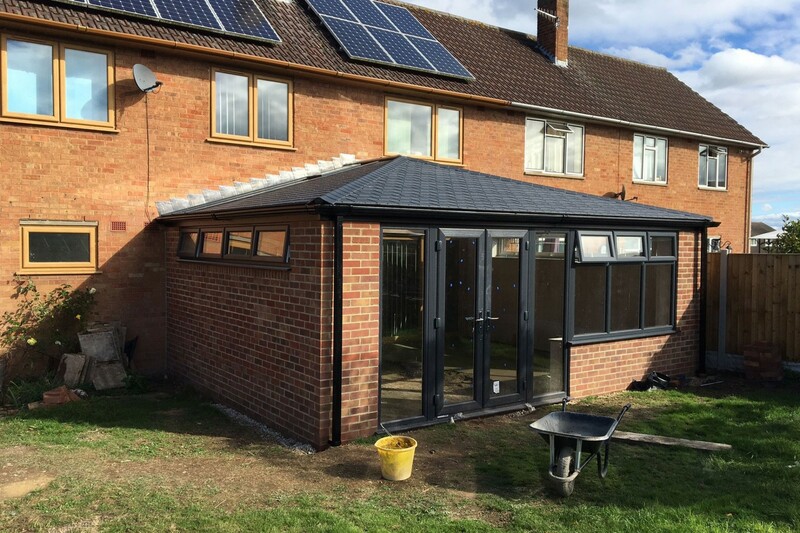 Extremely lightweight, strong and easy to install, the Ultraroof is faster and simpler than any other solid conservatory roof on the market. 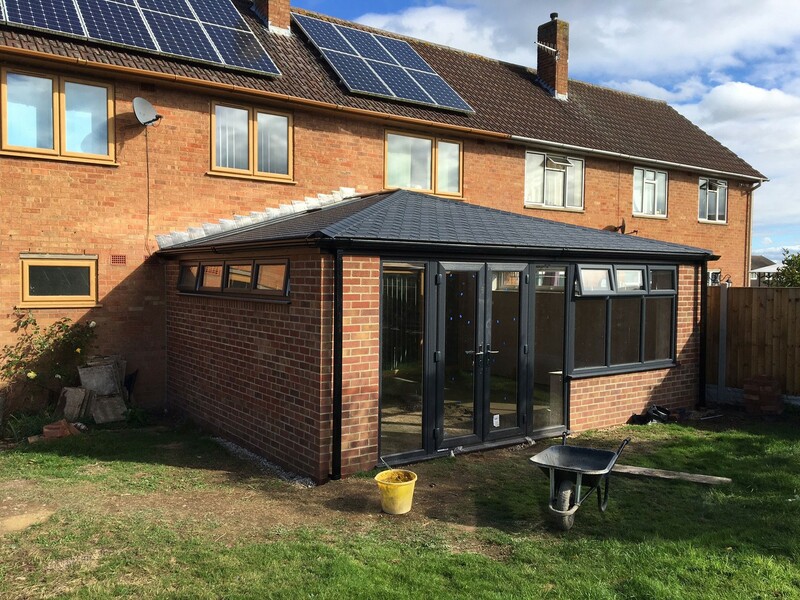 Ultraroof is a cost effective, simple to fit pre-packaged tiled conservatory roof kit that is perfect for the replacement of tired conservatory roofs or new-build extensions. Our range of tile colours, including Carbon Grey, Harvest Brown, Terra Brick, enables you to meet a wider spectrum of customer tastes. 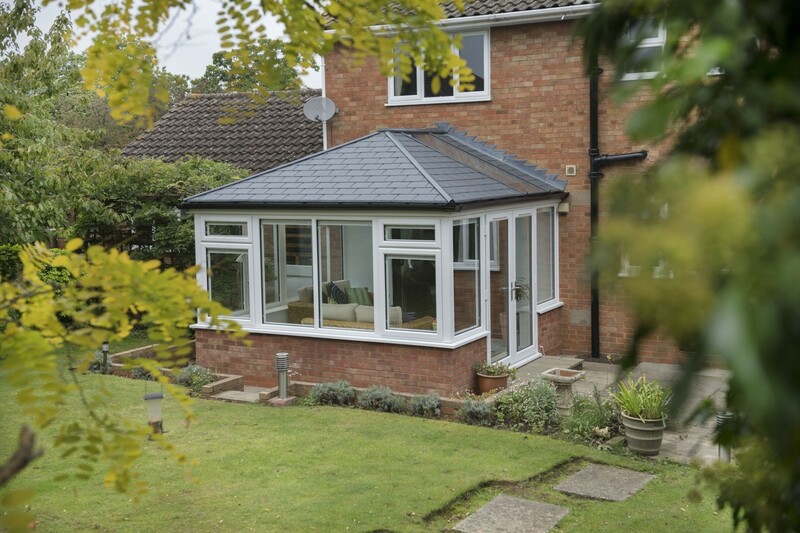 Further to this, it also enables you to tailor the Ultraroof to complement a wider range of property styles and architecture types: all while offering that definitive tiled conservatory roof look. 1 Insulated Beams - A patented box eaves beam, filled with mineral wool cavity insulation - that forms the soffit structure - approx 380mm front to back depth. 2 Aluminium Framework - A hidden structural aluminium framework for hips, ridge, and starter bars. 3 Structural Roof Panels - Mechanically fixed Kingspan Unidek Aero Structural Insulated Roof Panels are attached to the box eaves and structural framework. Full rectangular glass panels can be integrated to maintain light into any adjacent room. 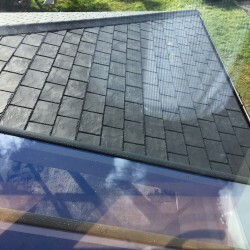 These panels can also be solar controlled, something not possible with a regular rooflight. 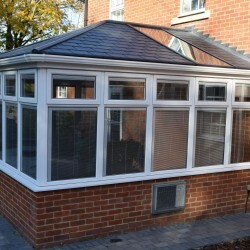 The Ultraroof tiled conservatory has superior strength for larger designs and NEVER needs a tie bar. Each roof is precision engineered to wind and snow load requirements of the postcode of the installation. The Ultraroof tiled roof is LABSS and JHAI certified. 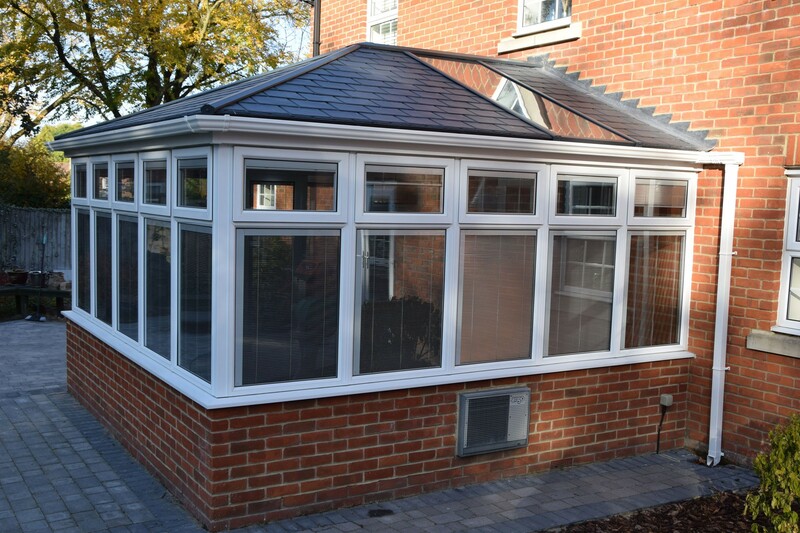 It’s also been fully fire tested by Warrington fire so you can be assured that Ultraroof is the right solid conservatory roof for your project. Want to give Ultraroof a try? If you would like to start selling Ultraroof, please fill in the short form below and one of the Ultraframe team will be in touch shortly.